Hanoi (VNA) – The Vietnam-Russia Joint Venture Vietsovpetro will exploit an additional 23 oil wells and make upgrade to nine others as part of the efforts to ensure safe exploiting activities and fulfill its set plan. The company will focus on completing seismic research to increase successful exploratory drilling activities in lot 09-1 to the northwest of Bach Ho (White Tiger) oil field in the coming time. In addition, it will implement suitable scientific measures to enhance the oil recovery coefficient while promoting cost optimisation. 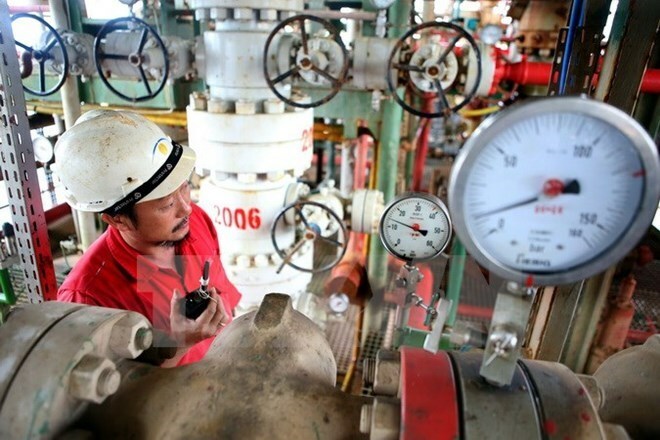 Vietsovpetro is striving to pump up over 24.4 million tonnes of crude oil by 2020. The company expects to bring ashore 5 million tonnes and exploit a further 100,000 tonnes in 2016.